In last week's column we wrote a quick bit on the debut self-titled record from Pours, the collaboration of ex-Parmaga front man Bryan Parmelee and drummer Chris Shar, the latter formerly of Man Man and Santigold. In a related story, from perusing various things written about the band lately, I'm pretty sure it's against rock-scribe law to refer to Shar without mentioning that he was once in those bands. Either that or his legal name is actually Chris Shar Formerly of Man Man and Santigold. But I digress. To refresh your memory, our take on the new record — which is available on vinyl and in cuh-razy colors! — was this: It's a good 'un. Deep critical insight, I know. But I'm saving the more serious discussion of the album's merits for a full review in the coming weeks, once I've had a chance to fully digest. A lot is going on in those eight songs. However, one thing that went unmentioned was the label releasing the album. So let's rectify that oversight, shall we? Pours is is not only the band's debut, it's the debut release from Burlington's Section Sign Records. The new DIY indie imprint is the brainchild of Britt Shorter, who is probably best known for being a talented local rock photographer. Shorter actually founded the label last year. But because releasing a record properly takes time — often way more than you'd expect, as the Pours guys will gladly tell you — we're only now starting to see the SSR catalog come to life. And if the early returns are any indication, the label will bear watching. Next up for SSR is the sophomore EP, Chapel, from indie-folk wunderkinds Alpenglow. That record — also planned for vinyl, no word on crazy colors — is a follow-up to the band's sparkling debut EP, Solitude, which was one of the 10 best local records of 2013 as named by, well, me. I suspect Chapel, which was recorded in, yes, a chapel in Middlebury and features some truly gorgeous natural reverb, will fare similarly well when it comes out later this summer. Shorter recently sent over a sneak-peek video for "Brothers in Crime," the EP's lead single and closing track. Our pals over at Brooklyn Vegan will premiere the video this week, so be sure to look for that. In the meantime, here's yet another profound critical insight: whoa. 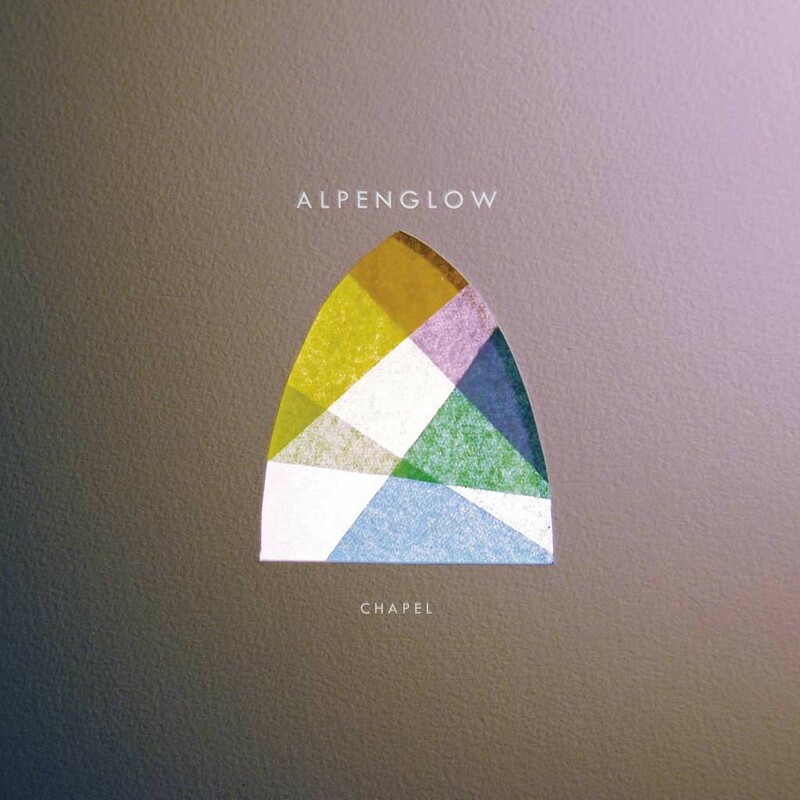 My only gripe with Alpenglow is that, for all their beautiful, swooning harmonies and elegant arrangements, I couldn't help thinking they were a little too much the product of their influences. Occasionally, the oft-made comparisons — by myself and others — to bands such as Fleet Foxes and the Low Anthem were a bit too spot-on. But that's a forgivable and, frankly, natural transgression for a young band. We're all products of our influences. One mark of a maturing artist is how he or she begins to transcend those informative inspirations. Based on the new single — admittedly a small sample size, but I've noticed it seeing them live, too — it appears Alpenglow are doing just that. The slow-burning "Brothers in Crime" represents a step forward for a prodigiously talented group. All the familiar accoutrements are there: the expansive, intricate arrangements, the soaring falsetto vocals, those pretty harmonies. But rather than sounding like an outtake of Oh My God, Charlie Darwin, the new single casts Alpenglow as a singular artistic entity. "Potential" is a word that gets tossed around too casually. But it seems Alpenglow are finding theirs. And the band's new EP speaks to the potential brimming within their new imprint, Section Sign Records. Alpenglow are currently on tour. But they'll be back in Vermont for a unique performance at Signal Kitchen on Friday, July 19. More on that next week. In other new release news, Dr. Green front man Derek Siegler unveils his debut self-titled solo record with a show at Radio Bean this Friday, July 11. I confess I've yet to dig in to the entire album. 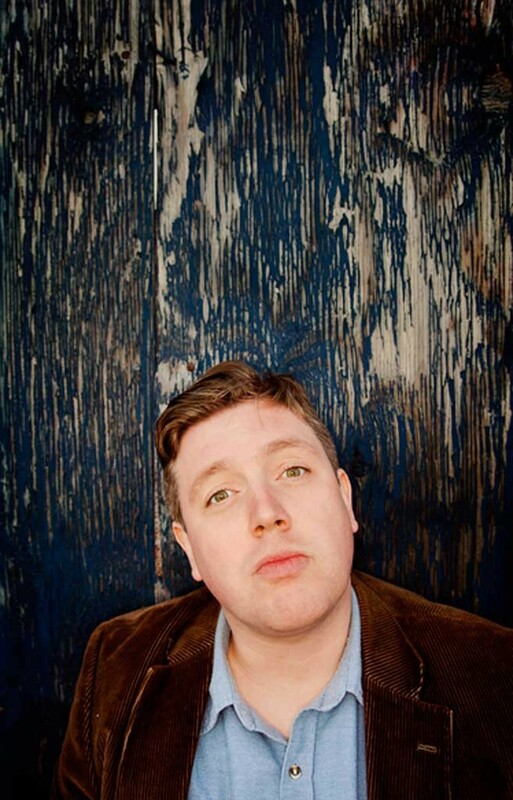 But based on a single, "Same Old Used to Be," that Siegler recently sent along, the same sturdy songwriting tack he employs with alt-rockers Dr. Green carries over into his own country-rock- tinged material. Siegler is not flashy. But his direct, unadorned style is certainly agreeable enough. His rough-hewn edge should appeal to fans of blue-collar bards such as Bruce Springsteen and Tom Petty. I'm not saying Siegler is in that class of songwriter. But there's a lot to like about his new single, which bodes well for the record. Brian Nagle, aka Disco Phantom, has not slept in four years. That's the only explanation I can come up with for how the dude is seemingly everywhere, all the time. He gigs nearly constantly. He was a driving force behind Waking Windows — the festival and the new production company. He built the friggin' stage at the Monkey House. Granted, he had some help on that last one, but still. And he's begun curating some really interesting monthly music series lately, including a new venture, Second Thursday Selector Sets, this Thursday, July 10, at the Monkey House in Winooski. Nagle describes the night — which happens at the Monkey the second Thursday of every month, duh — as an opportunity for local musicians, savvy fans and tastemakers to play DJ for a night and serve up some of their favorite tunes. However, he stresses that you don't have to be an actual DJ to play. "The idea behind the night is to have a vinyl-only DJ night but not just for DJs," he writes of the "genre-free open forum" in a recent email. "I am inviting all sorts of people in the greater Burlington music community to play their favorite records ... You just have to have a record collection." 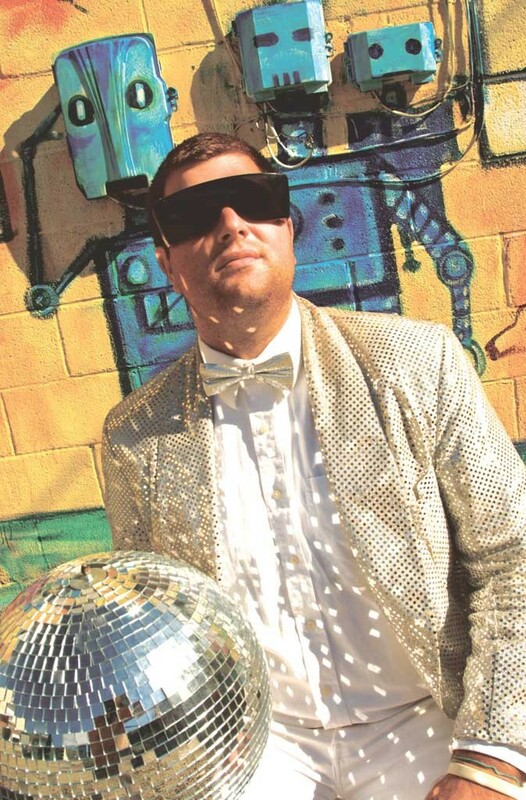 This Thursday, the lineup includes locals Two Sev, DJ Peaches, Nick Giordani and the man himself, Disco Phantom. Last but not least, Phil Davidson and Carmen Lagala — two of my personal favorite local standup comics — have put together a nifty little comedy show at the Halflounge Speakeasy this Thursday, July 10. It features headliner Jared Logan, a NYC-based standup, and his fiancée, Kara Klenk, a veteran of the Upright Citizens Brigade. That reminds me of a joke. Q: What did Jay-Z call his wife before they were married? I'm here all night, folks! Tip your server. Hilarious, right? Anyway, Lagala and Davidson would be worth the $8 price of admission on their own. So to see comics of Logan and Klenk's caliber in the cozy confines of the Half is quite a coup.